Square One Publishers, 9780757003882, 288pp. The African-American actors and actresses whose names have shone brightly on Broadway marquees earned their place in history not only through hard work, perseverance, and talent, but also because of the legacy left by those who came before them. Like the doors of many professions, those of the theater world were shut to minorities for decades. While the Civil War may have freed the slaves, it was not until the Civil Rights Movement of the 1960s that the playing field began to level. In this remarkable book, theater producer and historian Stewart F. Lane uses words and pictures to capture this tumultuous century and to highlight the rocky road that black actors have travelled to reach recognition on the Great White Way. After the Civil War, the popularity of the minstrel shows grew by leaps and bounds throughout the country. African Americans were portrayed by whites, who would entertain audiences in black face. While the depiction of blacks was highly demeaning, it opened the door to African-American performers, and by the late 1800s, a number of them were playing to full houses. By the 1920s, the Jazz Age was in full swing, allowing black musicians and composers to reach wider audiences. And in the thirties, musicals such as George Gershwin's Porgy and Bess and Eubie Blake's Swing It opened the door a little wider. As the years passed, black performers continued to gain ground. In the 1940s, Broadway productions of Cabin in the Sky, Carmen Jones, and St. Louis Woman enabled African Americans to demonstrate a fuller range of talents, and Paul Robeson reached national prominence in his awarding-winning portrayal of Othello. By the 1950s and '60s, more black actors--including Ruby Dee, Ossie Davis, and Sidney Poitier--had found their voices on stage, and black playwrights and directors had begun to make their marks. 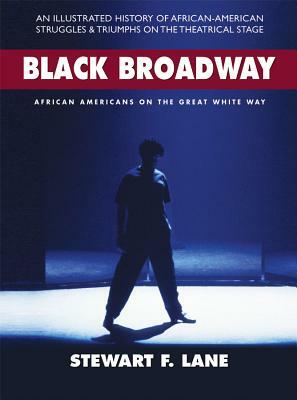 Black Broadway provides an entertaining, poignant history of a Broadway of which few are aware. By focusing a spotlight on both performers long forgotten and on those whom we still hold dear, this unique book offers a story well worth telling.